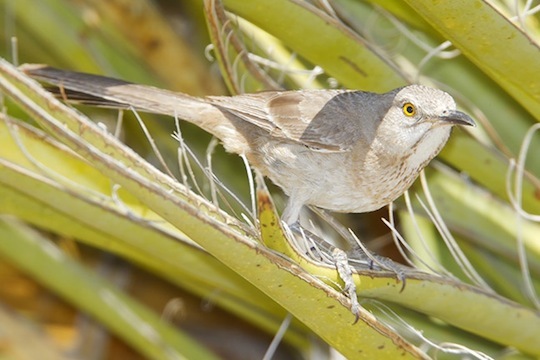 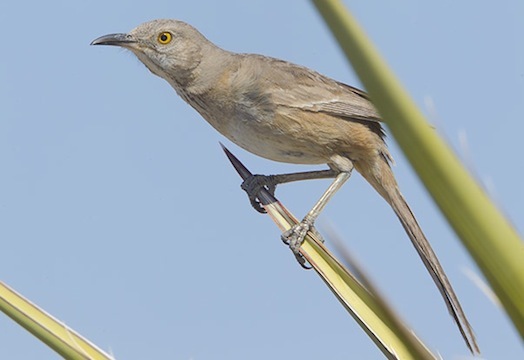 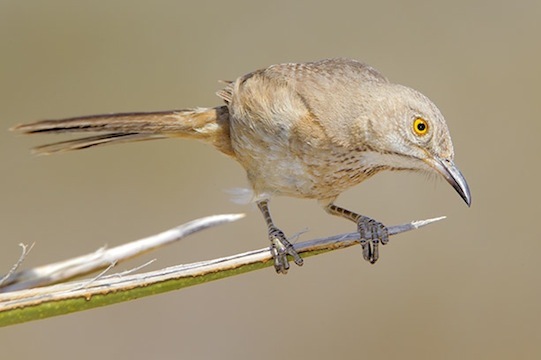 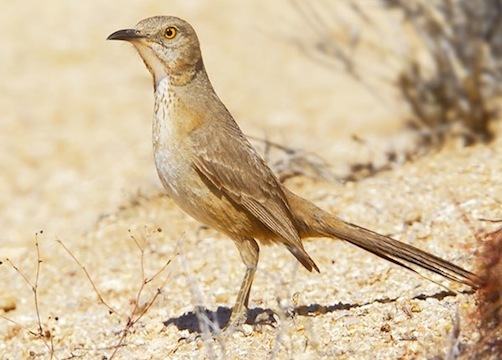 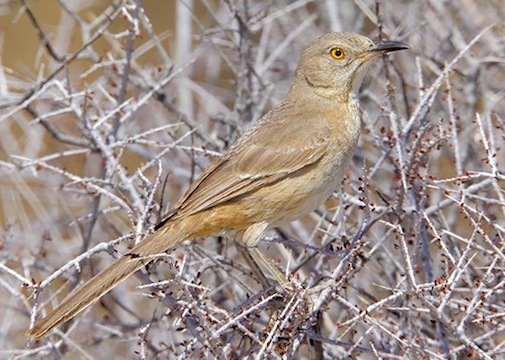 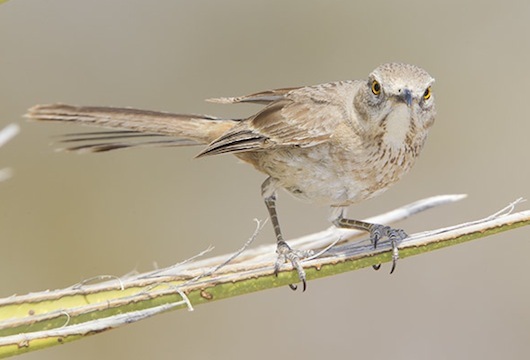 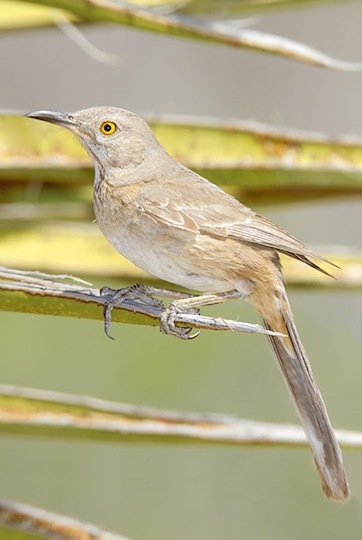 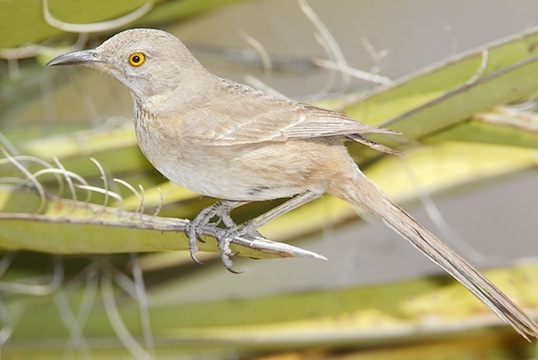 Bendire's thrashers are desert birds, very similar to the somewhat larger curve-billed thrasher that shares much of their range. 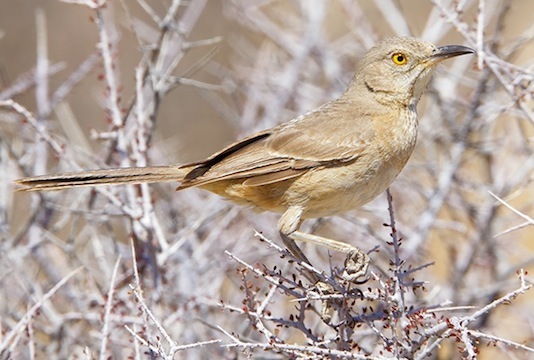 Bendire's thrashers have one of the smallest breeding ranges of any bird in the US, although it covers parts of 5 southwestern states. 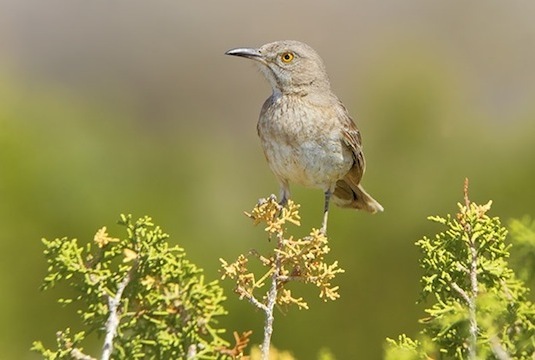 Like all thrashers, they have a complex and lovely song. 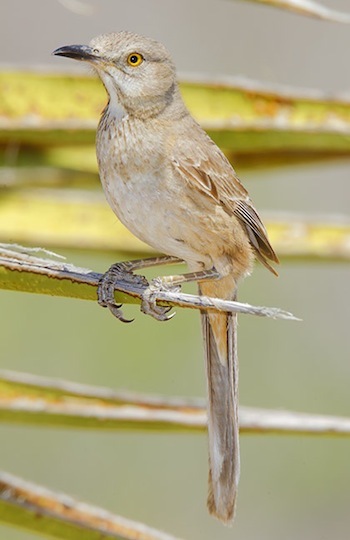 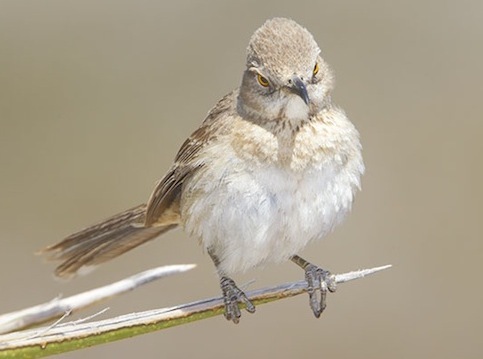 This one was photographed on a late Spring morning in the southern portion of Joshua Tree National Park in California.